While Bennett's interactions with that crowd were restricted largely to simple gestures – the outreached arms that climaxed nearly every song, the self-hug that received their adulation, an occasional thumbs-up or salute – he held them rapt with undiminished charm and several decades' worth of accumulated goodwill. 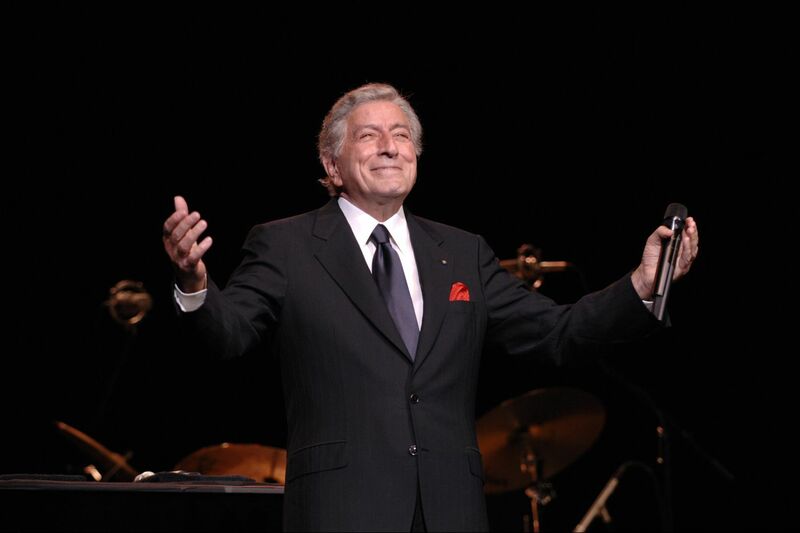 Following an opening number by his quartet and a three-song set by his usual opener, daughter Antonia Bennett, the man of the hour strode onstage in a blue suit, introduced by the voice of Frank Sinatra calling him "the greatest singer in the world." Launching into "Watch What Happens," Bennett provided plenty of reminders of why Ol' Blue Eyes might have thought that: the relaxed, expressive sense of timing, the emphatic declarations, the ever-present grin, a constant reminder that while his singing may touch your heart, the singer is always delighted by doing so. Those are qualities that remain strong, even as other elements of Bennett's voice may show the inevitable wear of time: a held note may waver, a once sweet tone may take on some gruffness, a bit of wordplay may get lost to the mists of time (most notably in the Gershwins' tongue-tripping "They All Laughed," mostly reduced to half-mumbled scatting), but the legendary singer's charm and elegance remain intact. The power of Bennett's vocal gifts shined through vividly at key moments: a stunning take on Duke Ellington's ballad "(In My) Solitude," a raspy but touching "Shadow of Your Smile," a noir-inflected "Boulevard of Broken Dreams," a conversational stroll through "I'm Old-Fashioned." Occasionally he shared the spotlight with his band (pianist Tom Ranier, guitarist Gray Sargent, bassist Marshall Wood, and drummer Harold Jones), making the rounds of the stage during solos and punctuating their playing with a hearty "Wow!" But mostly he basked in the love of "one of the greatest audiences we've ever had" – and even if he may say that every night, no one doubted his sincerity.